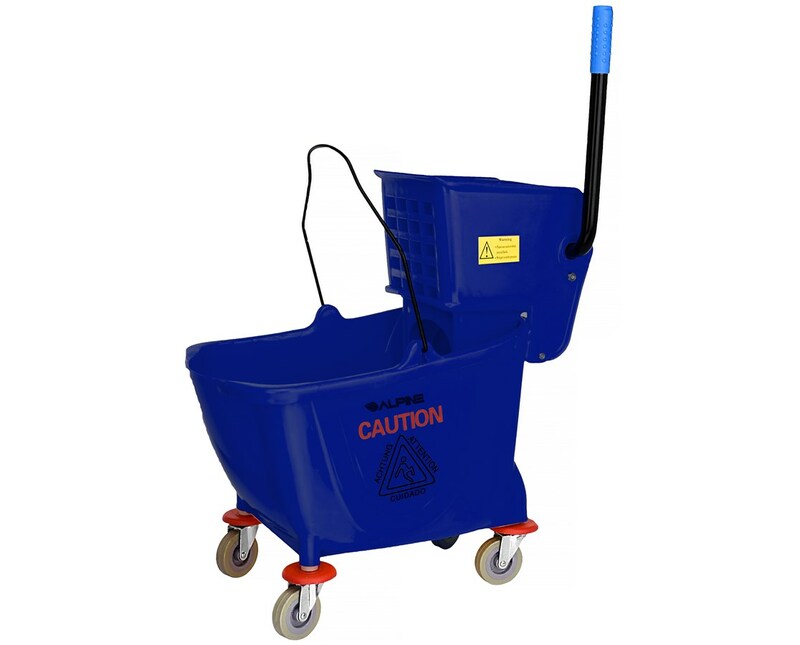 The Alpine Mop Bucket with Side Wringer is an effective cleaning solution that is perfect for any commercial setting such as schools, restaurants, offices, or health-care facilities. This cleaning tool features a bucket and removable wringer that makes transporting of cleaning supplies quicker and easier. It also comes with a heavy-duty spring for easy mop cleaning. 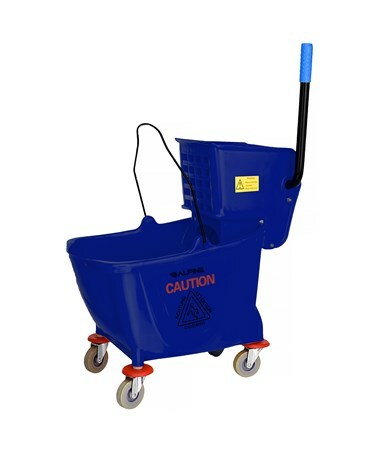 This Alpine mop bucket carries a capacity of up to 36 quarts. It consists of a rounded front lip that helps prevent backsplash while emptying contents. To protect any type of floor and walls, it includes sturdy non-marking wheels to prevent scratching any surface. The Alpine bucket with wringer weighs only 15.43 pounds and has a size of 24.01" H x 14.17" W x 33.46" D. It is made of plastic, PVC, and metal that guarantees the mop bucket lasts for a long time. In addition, it has a bright yellow color with an international caution symbol that is commonly used for cleaning surfaces in lower risk areas.